We offer multiple stair lift options. 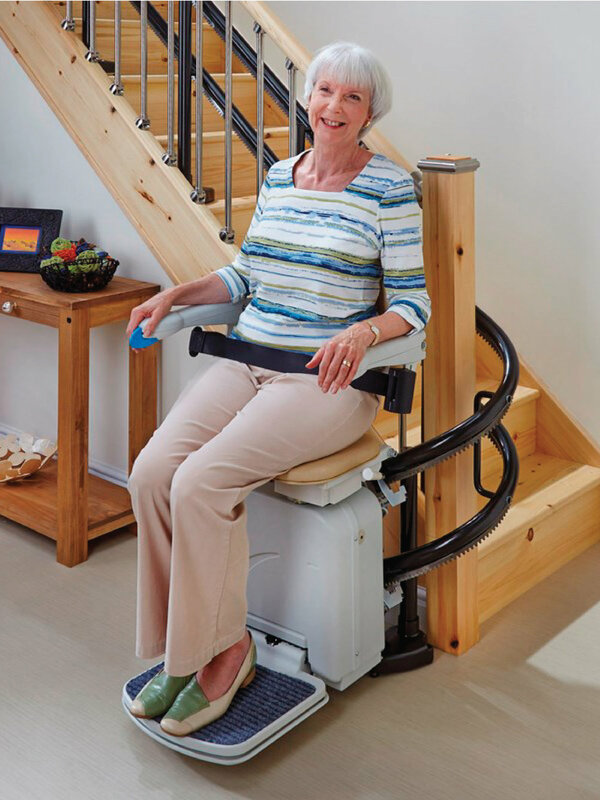 Indoor, outdoor, straight, curved and portable stair lifts. We also rent stair lifts. We offer multiple brands, options, and models for indoor and outdoor use. We are not an internet company or handyman working out of a truck. We sell, install, and service everything we sell. We appreciate the opportunity to provide you a free, no pressure in home consultation. This unit can be rented. Great solution if you have an attendant. This unit will travel up a straight flight of stairs. This unit can be rented. For a spiral or radius staircase the Scalamobil is a great solution. Available in most of our showrooms.